What about the type of graphics you might consider putting on Gravitee? Gravitee accepts both SEG Fabric and Direct Print Graphics, so take your pick. Check out Gravitee at TradeshowGuy Exhibits’ Exhibit Design Search. 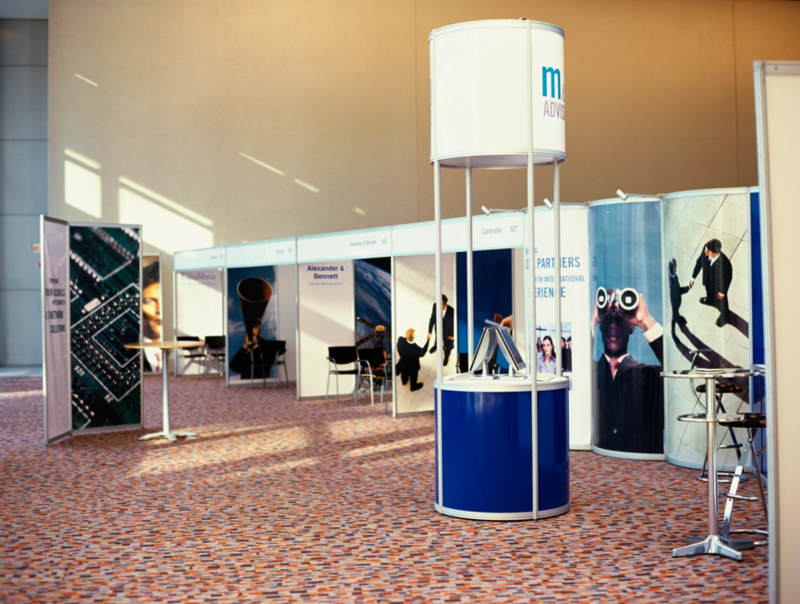 When you think about it, there are several reasons why tradeshows work to reach new markets. And many reasons as to why they wouldn’t work for you. Let’s start with why tradeshows work. Tradeshows are organized for one very good reason: to bring buyers and sellers together under one roof for a short amount of time. It’s an extremely effective way to help both parties make connections. By setting up an exhibit at the right show – one that has hundreds or thousands of people or companies that are in the market for your product or service – you can save a ton of money when compared with trying to have face-to-face meetings with those same people at their company locations. Imagine meeting 100 people at a show over the course of three days. Then imagine the cost of traveling to 100 locations spread throughout the country (or state or world) and having the same meetings. Granted, a meeting in someone’s office is typically more relaxed than a meeting on the tradeshow floor. But other than the time and relaxation factors, it’s pretty much the same meeting! You’re determining if the prospect uses your product, is capable of making a purchase (they have the $$), and if they have the ability to make that decision for the company. It’s the same on the tradeshow floor. 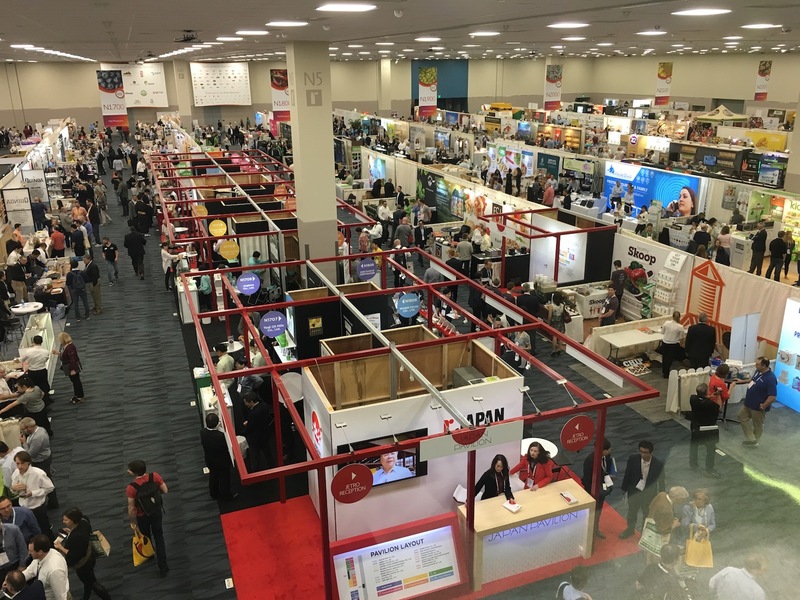 Given all of that, tradeshows are the perfect structure for spreading the word about your product among a very large crowd that – again, if it’s the right show – are your target market. Naturally, you’re competing against companies that may be trying to sell virtually the same product or service to the same target market. That’s where the fun starts: how do you differentiate from them, how do you approach the prospect, how do you understand their needs, how do you make them look (and feel) good? On the flip side, given the high cost and a multitude of variables that go into planning and executing a tradeshow appearance, a lot of exhibitors have come to the conclusion that tradeshow marketing doesn’t work. For them. You could point to a number of reasons why it doesn’t work for them. They’re at the wrong show. With the wrong exhibit. In the wrong space. With a booth staff that isn’t properly trained. Going against competitors that are way ahead of them in experience, savvy, planning, and attitude. In fact, attitude, I would argue, is one of the keys to winning vs. losing at a tradeshow. But let’s take it a step further: let’s not even use the words “winning vs. losing” because that frames it as a competition. Yes, it is, in a sense. But if you consider all tradeshows as more than that – as a learning experience – take that experience and apply it to the next round. What worked? What didn’t? Why did something work, and why did something else not work? If that’s hard to figure out, it might mean you’re too close to it. Ask someone on the outside to take a look and give an objective perspective. Buy a book or two and learn how it’s done from people that have been there before. Don’t give up. Keep plugging away. Keep trying. It can – and will – work for you, eventually. This is a guest post by Marla Bracco. Preparing for a tradeshow takes time and effort, which you may already know if you’ve participated in a tradeshow in the past. That being said, it helps to have a checklist on hand to make sure you get everything just right before the big day. Below we’ve outlined the ultimate tradeshow booth checklist for you to use before your next show to boost your efficiency and marketing ROI. Research the exhibitor space and show beforehand. Do you know where your booth is located at the event? If you have the opportunity to pick your spot, think about selecting an area near the entrance where you can meet and greet people as soon as they walk in. Once you have your booth location nailed down, don’t forget to promote it. Advertising your presence at the event can drive more foot traffic. Plan out your booth ahead of time. You and your team should have a good idea of what type of graphics you will be using and how the space will be set up before the event. Will you have a custom exhibit or table top with a table cover? Will you have a booth backdrop? What about signage? These are all factors you’ll want to consider beforehand. In addition, don’t forget about your marketing collateral. Your marketing team should have informational materials to give out to those who come by your booth and want to learn more about your products and services. After deciding on the right pieces, feature pamphlets prominently in literature stands or on tabletops so potential customers can easily grab them. Emails, social media, and direct mail are all ways you can drive traffic to your booth when the big day comes. Think about creating a marketing campaign centered around the trade show to raise awareness of your presence at the event before it officially kicks off. You can also often promote your presence with the organizers of the show itself whether that be via email or an advertisement in the conference agenda. Come up with a plan to drive traffic to your booth. Think about creating a giveaway program to encourage attendees to stop by your booth. Consider a raffle where you give away a prize on display at the actual event. An acrylic locked box can be used to hold the prize safely until it’s time to award it to the raffle winner. 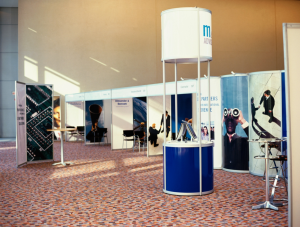 You may also want to use tradeshow banners to drive traffic to your booth. If you want to go the extra mile, think about hosting a small event at your booth, such as a coffee hour, for networking with people who stop by your area. Finally, don’t forget about offering freebies to those who come by your booth. Marketing materials, such as branded pens and keychains, can help you stick out in the mind of booth visitors long after they drop by your stand. Create a plan for collecting leads. Will your team have lead scanners or will you be simply collecting business cards? These are questions you’ll want to have answered before the big day. 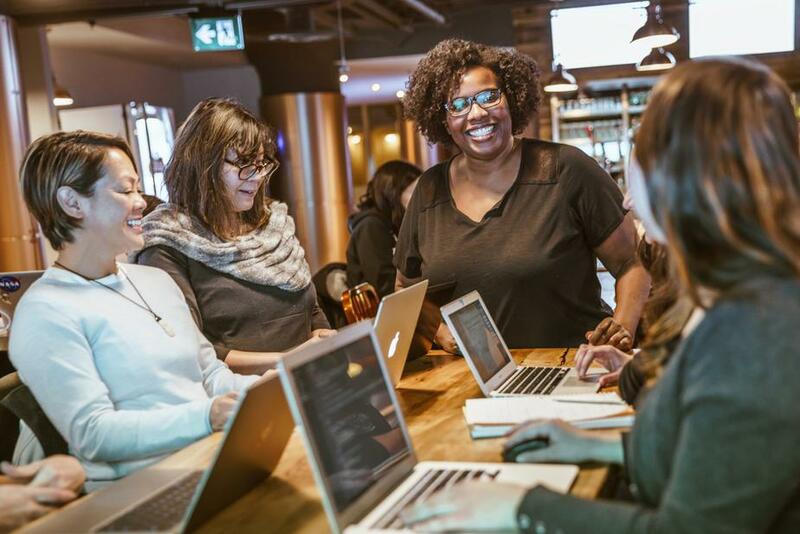 Think about using a tablet to collect attendee information with a form that connects directly to your CRM system to streamline the lead collection process. Tablet stands and holders can be beneficial at your booth for this reason. While planning a tradeshow does require a certain amount of flexibility, having this checklist on hand can give you the best chance at making the most of your marketing opportunity. Follow these tips and you’re sure to be off to a good start for your next show. Marla Bracco is the content marketing manager for shopPOPdisplays where she focuses on content strategy and search engine marketing, designed to help the organization shape their web content around digital marketing objectives and priorities. You’d be forgiven for thinking that the main goal of all tradeshow marketing is to grow your business, right? Yes, you’re right. But that’s a general and somewhat vague-sounding goal, so it’s worth breaking it down a bit more. Most everything you can do, whether it’s pre-show marketing, in-booth activities, or post-show follow-up, helps support these three main goals. Easily recognizable exhibit that captures your brand. How do you measure this? One way would be to survey visitors as they pass through the booth to gauge their feelings on the exhibit. A trained booth staff that knows and understands your show goals and how to properly interact with your booth visitors. This isn’t something that is easily measurable, but investing in your booth staff by hiring a professional trainer is an expense that can be measured – and I’m confident you’ll see an improvement in critical metrics as a results. Samples given away – if a lot of people want your stuff, that’s a good indicator. Easy enough to measure. Social media engagement. Did you get good response from the photos and videos you posted from the show floor (as well as before and after the show)? Compare post count and engagement from show to show. Making sure that your lead has concrete contact information and specific follow up details. Count leads and track trends from show to show. Tracking the overall visitor count. Yes, this is hard to do, but with technology it’s becoming easier. By knowing the percentage of visitors that convert to leads, you have valuable information that can be used at subsequent shows. Sales Success comes from the follow up and the tracking of the total amount of sales achieved as a direct result of a show. Here’s where it gets a little dicey. Some tradeshow leads will pay off immediately, others in the medium-term and some in the long-term. If you can attribute a sale in March of 2019, for example to a show you did in July of 2016, add the profit earned from that sale to the Return on Investment from your July 2016 show. You probably won’t automatically know this information, especially if your company is a fairly large business and goes to several shows in a year. But by tagging the prospect as someone that first came into your sales funnel at that specific July 2016 show, no matter how many follow up steps it took, if they become a new client and you can attribute the income from them to a specific show, make sure to do so. Many exhibitors crave ideas on how to attract more visitors to their tradeshow booth. They want an attraction that makes their booth irresistible for attendees walking down the aisle. 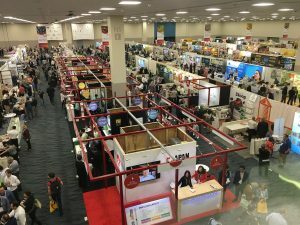 Rather than make all their purchases over the Internet, buyers continue to go to trade shows because it allows them to see and touch real products in person. Leverage this strong advantage by demonstrating your products in your booth. Show how your product solves real problems. Have a presenter constantly demonstrating your product, and even invite attendees to try your product themselves. Just be sure to have your booth staff trained to perform the demo smoothly, especially if it’s a new product. Attendees love to play trade show games. They can have fun, win prizes, compete with colleagues, and even learn something about your products during the game. Trade show games can be selected to fit your audience and booth size. They can be designed to include your company branding and logo. You can host games that are digital or old-school analog style. Games rejuvenate attendees drained from tromping down too many aisles, so they’re ready to talk shop with you again. 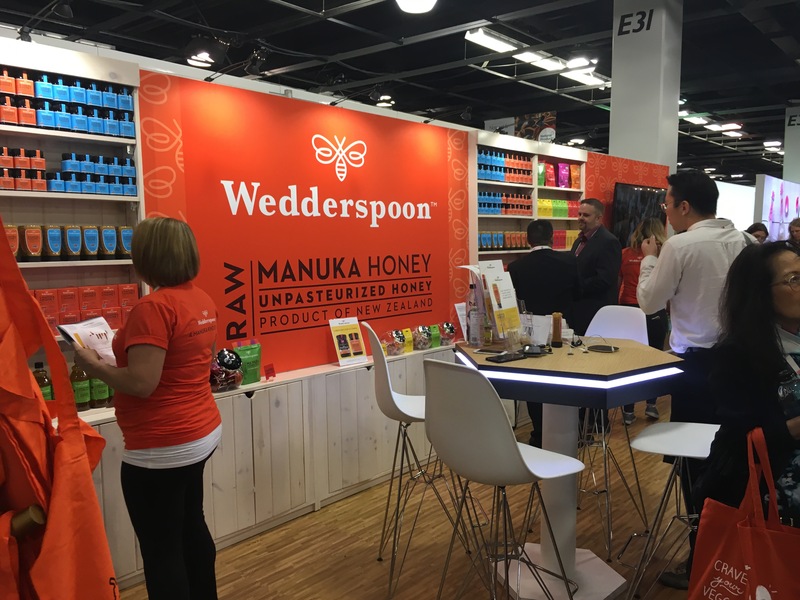 When a simple giveaway isn’t enough, exhibitors are upping their game by hosting experiences in their booth. Experiences are best when they are immersive, personalized activities that emotionally connect buyers to your brand story. They engage the senses and are hands-on. 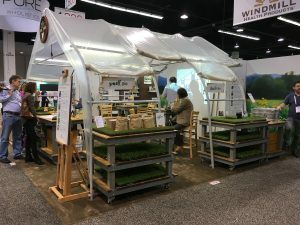 Experiences that attract visitors to your trade show booth require space and staging, which means planning your exhibit design in conjunction with your activity. Trade shows continue to remain relevant and grow in part because exhibitors have integrated technology into their exhibits. Tech-dependent attendees are never without their smart phones, tablet computers, and the Internet, so exhibitors include tech to match attendees’ higher expectations. What content works best on all that technology? Exhibitors start by showing their websites or PowerPoint presentations. Some graduate to videos or apps made just for the show. Augmented Reality and Virtual Reality are sought by exhibitors with the largest budgets and longer planning timelines. Some exhibitors choose to put the “show” back into trade shows by hiring entertainers in their booth. They may be magicians, artists, dancers, celebrity lookalikes – any kind of performer that will attract visitors to your booth. The best entertainers will customize their performance to blend in your product messages. With hundreds of exhibitors at the average show, you need an edge to get attendees to stop by. 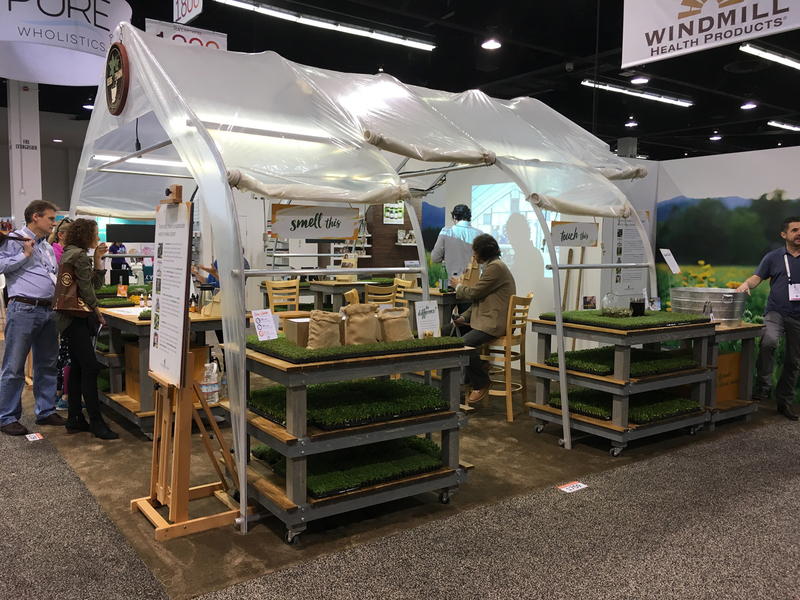 When you choose any of these 5 ideas to attract visitors to your booth, you’ll make your space, and thus your company, more interesting. Not only will attendees will be more engaged, but your booth staffers will also have more fun, too. It doesn’t matter what industry you’re in, no doubt you’d like to have great clients. Wouldn’t we all? Which isn’t to say that any of my clients are not good clients – they are. In fact, most are great clients. So what does it take to be a great client? Before I address that, let me say that people I know have been known to fire clients. Excuse me? Fire a client? Why would you do that? A friend of mine ran a small business doing voiceovers. At one point several years ago one of his clients happened to be nearly half of his business, so he felt obligated to keep working with them because they brought in a significant amount of money. But the downside of that was that the client also brought the most headaches: late payments, lack of communication, downright verbal abuse at times. As you might imagine, the client was shocked. But had no choice. They were no longer a client. Which freed up my friend, both timewise and having to deal with someone so bad. It didn’t take long to replace the business, either. We should all have nothing but great clients, but I’m sure it’s no surprise that it doesn’t always work that way. Good communication: this is the most important item of all. Be responsive to questions. Give clear answers. When you have to ask a question, make it as clear as possible. Respond in a timely manner. Whether discussing details of an exhibit design or working out upgrades to graphics or finalizing shipping, clear communication in both directions makes everyone much more satisfied with the final result. Be aware of all deadlines: Understanding deadlines goes both ways. The exhibit house knows how long it takes to design, fabricate and ship an exhibit. They should clearly communicate that to the client how long items take, and give out reasonable deadlines for graphic submission, shipping dates and so on. The client should take responsibility to adhere to the deadlines and communicate to the exhibit house any challenges they face along the way. No mutual mystification: back to communication. If a question doesn’t get asked it won’t get answered. This goes both ways. Share everything in detail. Clearly Understood Expectations Regarding Money: When entering into an arrangement with an exhibit house, one item that should be understood from the beginning is how the project will be paid for. This starts with the exhibit house but must be reciprocated by the client. Most exhibit houses are flexible (we are) which means that whatever terms are worked out will be to the satisfaction of both parties. If a significant down payment is expected within a certain amount of time, that should be clearly communicated to the client. If that agreement is reached, the expectation is that it will be adhered to. Having to chase money is one of the worst parts of anyone’s job. As a service provider, you hate to be put in the position of doing that, and as a client, you hate to be reminded that it’s time to pay the invoice. Sharing Good and Bad News: I once had a boss that told me, “I want to hear good news as soon as possible. I want to hear bad news sooner than that.” No matter what the bad news, let your exhibit house know immediately so they can respond. It could be anything (and anything can and does happen in the tradeshow world), but it can’t be dealt with until the bad news is passed along in detail. As exhibit house managers, we don’t like to get bad news, no matter who’s fault it is, but it would be worse to NOT get the bad news and have the client internalize it and hold a grudge. As for good news, if you had a great experience at a show and the exhibit (and anything else coordinated by your exhibit house) was a big part of your success, make sure you share that with them. In fact, you might offer to write a testimonial or make a referral. Finally, Be Friendly: The best clients are those that become friends. Even if you don’t see them frequently, having a client that looks forward to seeing you, and vice versa, makes it all that much better. Talking about kids, sports, vacations and more helps build the relationship from a client/service provider to an actual friendship. And makes it harder to move elsewhere. Being a great client goes hand in hand with a being a great exhibit house, working with an organization that understands your needs and not only meets but surpasses them. Once you have that, it’s a lot easier to be a great client.